We visited Nara as our early spring excursion with a Vietnamese couple on 19th March. We visited Horyuji Temple →Chuguji Temple →Yakushiji Temple →Toshodaiji Temple. They are world-famous, because they were regisrated as world cultural heritage sites in 1998. While visiting the temples, we could learn three cultures called Asuka Culture, Hakuho Culture and Tenpyo Culture. We had a international exchange meeting on 2nd March. Today’s topic was every member’s resolution for our new semester from April. Every one declared their own plan, and vow to make one’s dream come true! We will continue the meeting to improve our English ability. We hope many new members will join us! Don’t hesitate! We had a disucussion meeting last Sunday with Mr. Dinh who came from Vietnam. 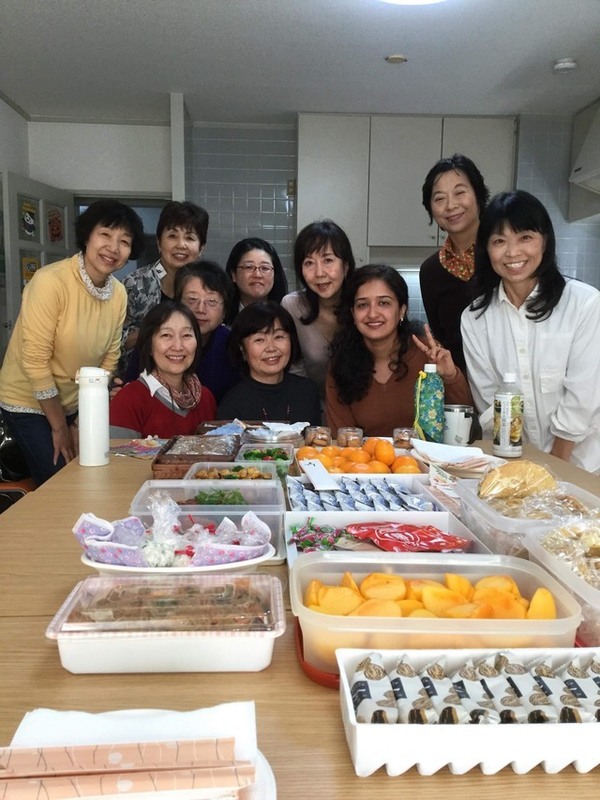 The topic was "How to spend holidays in Japan and Vietnam" Each participant presented many kinds of ways how to spend our holidays, such as reading books, danching, doing some sports, singing songs and going domestic trips. Especially, pilgrimages are very popular and inportant roles for Vietnamese. Comparing the Western countries, Asian people have a tendency not to take a long consecutive vacations. So, the people try to put thier ingenuity to refresh themselves during the short free time. Unfortunately, this time was the last discussion meeting with Mr. Dinh because he has to move from Osaka in April. We are planning to have an excursion with Mr. and Mrs. Dinh in Nara on 19th of March. Please contact us if you can join the trip! about Nara to Mr. Dinh and other participants on January 15th. We learned many things and deepen our understanding of Nara through the meeting. our favorite shrines, Akishino Temple and Kofukuji Temple, so on. At last of the meeting, Mr. Dinh taught us some Vietnamese words which has six tones. It's so difficult for us to pronounce them but at the same time, it's good experience to study them. We are planning to go on an excursion to Nara with Mr. and Mrs. Dinh on February 26th. If you have a free time on that day, please join us and enjoy our trip together. We had a cultural exchange meeting on Sunday. We talked about how people celebrate a new year. It was very interesting we had known many differences had been between Vietnamese celebrating ways and Japanese ones. For instance, there is a year of “cat” instead of the year of “rabbit” in their signs of the zodiac! And we talked about the differences about food which we prepare for a new year. We could understand both in Vietnam and Japan, people use and prepare auspicious things to celebrate a new year. We could respect our rich cultures. What fun it was to share a nice time! We had an intercultural discussion meeting today.We discussed wide range of topics: marriage rate, shortage of nursery schools, after Mr. Donald Trump taking office, how will be relations between Iran and USA, etc.We talked about a lot, so it was in an instant.What a nice day we could share‼Thank you for all of you! We went to an autumn excursion with Dean & High who are Vietnamese students of Osaka University. We enjoyed not only the historical Kyoto city, but also beautiful maple leaves changing their colors. And we learned the history of Japanese sake, and how people make it in a cellar. We visited the stone monument of the site of the timber shed, the Fushimi port, Teradaya Inn, the Museum of Gekkeikan, the Museum of Kizakura Fushimigura, Sanjusangendo Temple, Chishakuin Temple, and Kodaiji Temple. Today, we hold an intercultural exchange meeting with an Iranian student of Osaka University in the Onohara branch of EIGC. We talked about differences of marriage between Iranian system and Japanese one. 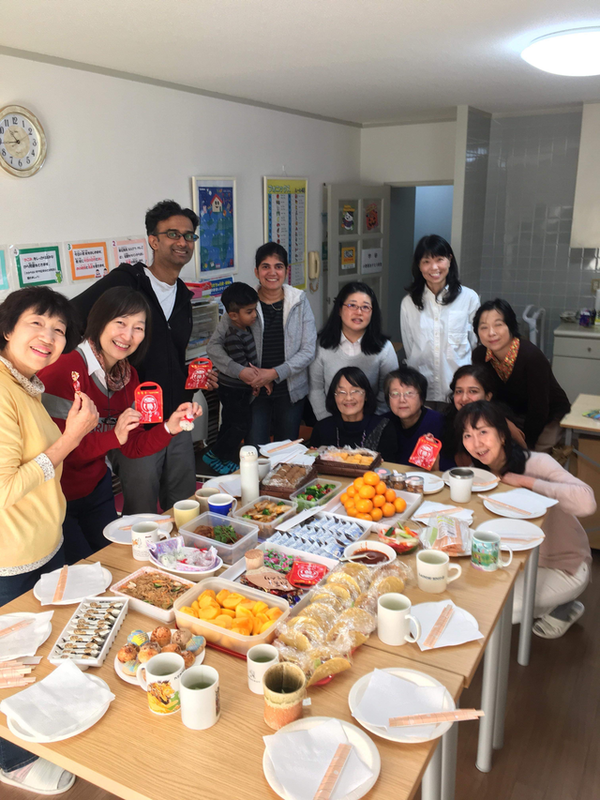 We hold an intercultural exchange meeting with an Iranien suturent of Osaka University on Thursday in the Onohara branch of EIGC. We talked about Japanese images, and why Japanese people can't communicate well in foreign languages. We held an intercultural discussion meeting with a Vietnamese student of Osaka University in Onohara branch school of EIGC on Sunday. The subject of the meeting was Japanese culture. We discussed a lot while drinking some bowls of green tea. It was a nice experience for us to share joyful time each other!